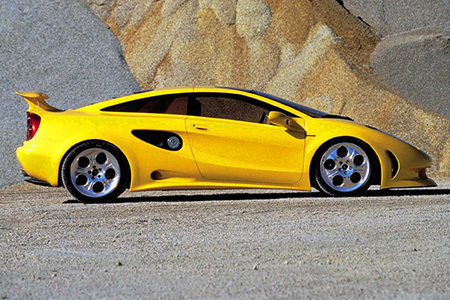 The Lamborghini Cala, first shown at the 1995 Geneva Motor Show, was a supercar that was ahead of its time. It was completely hand-built and features mechanical components designed by Lamborghini, with a center-rear mounted 3961 cc, 372 HP, 7200 rpm V10 engine mated to rear-wheel drive. Continue reading for a video, more pictures, and additional information. The Cala was designed to fill Lamborghini’s need for a replacement for the Jalpa, which discontinued production in 1988 at the behest of then owners of the company, Chrysler. 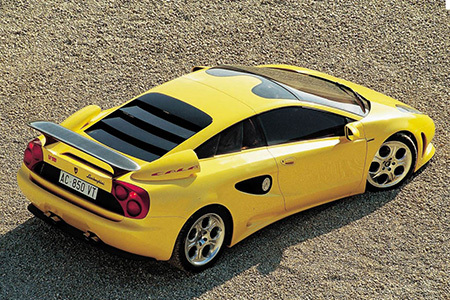 In 1994 Chrysler sold Lamborghini to Megatech, the Cala design took shape, but when Megatech sold Lamborghini to the Volkswagen Group in 1998, the concept was shelved. 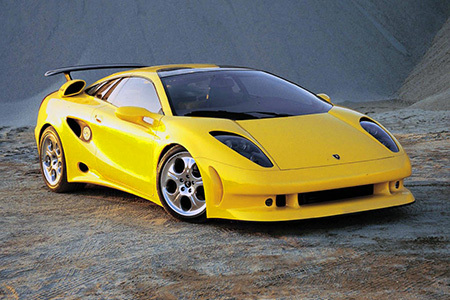 The Jalpa replacement would not be found in Lamborghini’s lineup until 2003, with the release of the Lamborghini Gallardo.